There are a few charities near and dear to my heart; Easter Seals is one of them. Here is the piece I’m donating to this year’s Grape Soiree Event. 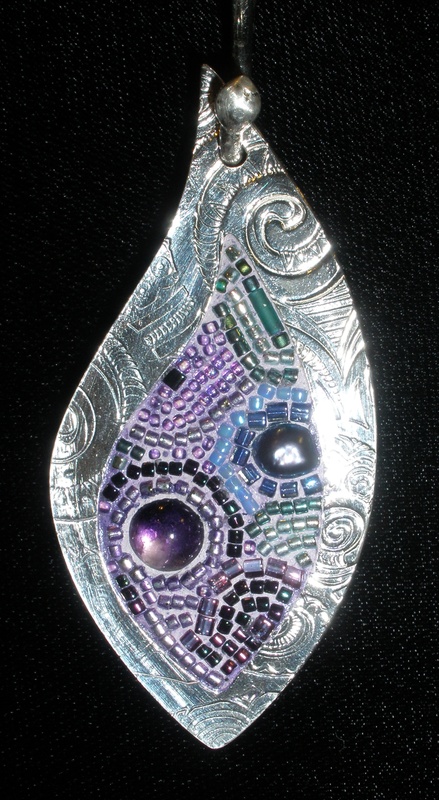 In a bezel fabricated of 28.2 grams of fine silver, an amethyst cabochon and a freshwater pearl are inlaid amidst tiny glass beads as part of a micro-mosaic tiling process. A hand-wrought fine silver bail connects the pendant to a twenty-four inch sterling silver cable chain.